See for yourself the quality of work we have provided for our customers by browsing through our gallery of images and videos in our showroom online. Ever wonder what it would cost to get the flooring of your dreams? Let us give you an estimate and don't worry, this time, the cost is on us! Why are we the best flooring company in Naples? 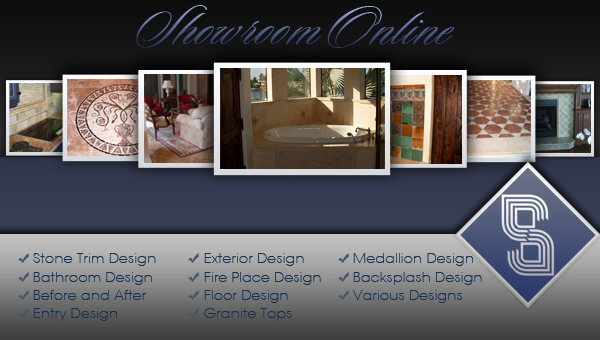 We are committed like no other tile company in Naples, FL. Each project is a personal investment for the company, which is why the owner personally works on every project to make sure it is done to his utmost standards and meets the client’s time requirements. Our company does not wash, rinse and repeat designs like most corporate tile companies in Naples, FL… leaving the client with an unsatisfying taste in their mouth. Each job is custom to the client’s taste and every tile set is hand picked to make sure it is the best of the best. Born with the passion to create works of art using our hands, the power tools and flooring equipment is our paintbrush and your floor is our canvas. We are more than just a tile company, we are men of our craft, each man as skilled as the next… and we are all eager to work for you. Clients of ours can’t seem to get enough of our work and keep on coming back for more. Not to brag or anything, but we have been told quite frequently that we are the best tile company that anyone has ever seen… probably because our work ethic and quality is unlike any other!